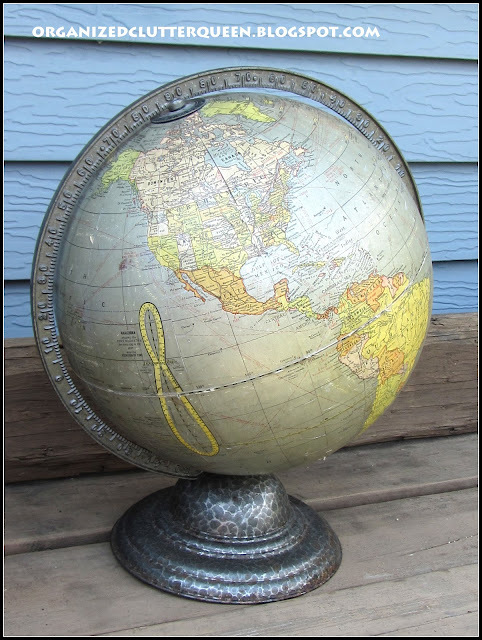 In July I purchased this Cram's Terrestrial 12 Inch Globe for $10 at a thrifty consignment shop. I loved the silvery colored oceans. 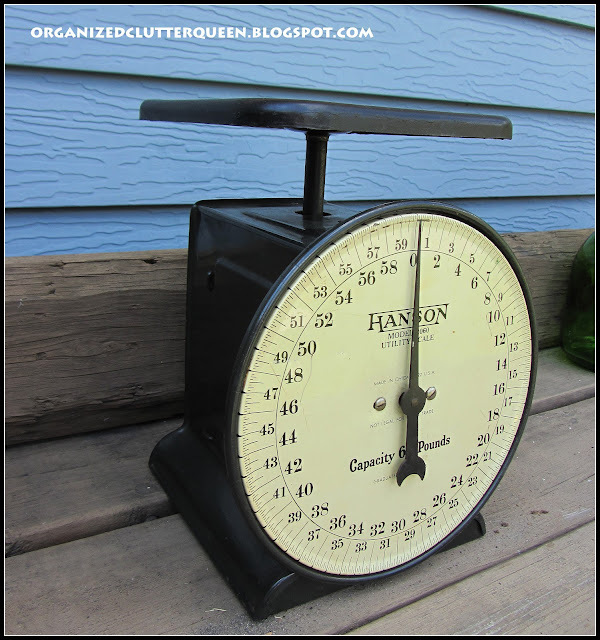 Also in July at the same thrifty consignment shop, I purchased this Hanson 2060 Model vintage scale for $8. It was in great shape. 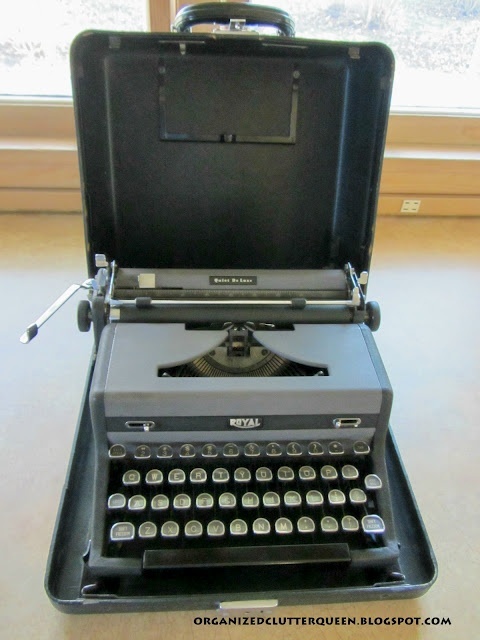 At the other thrifty consignment shop in my town, I purchased this Royal Quiet Deluxe portable typewriter in April for $20. Like new condition. 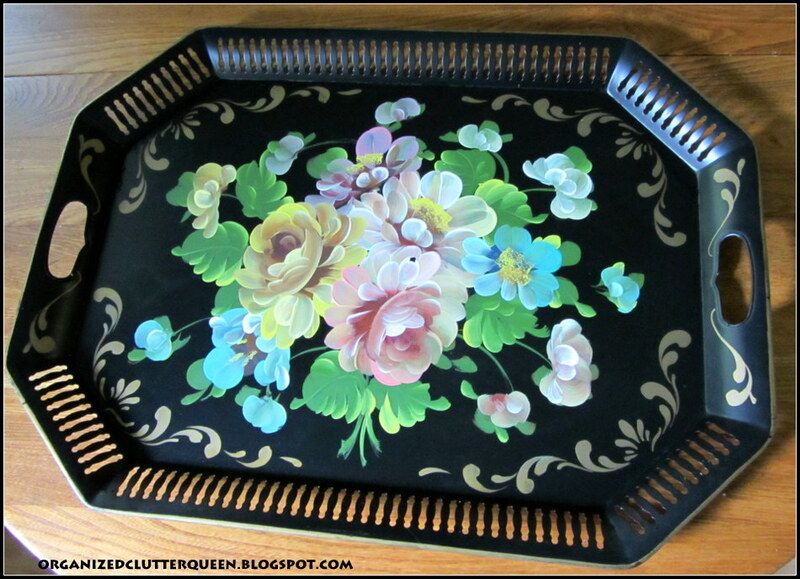 At a thrifty consignment shop in August, I purchased this Art Gift tole tray for $4. In July, I went garage sale-ing and purchased the Brownie camera for $1.50 and the Baby Ben clock for $1.00. 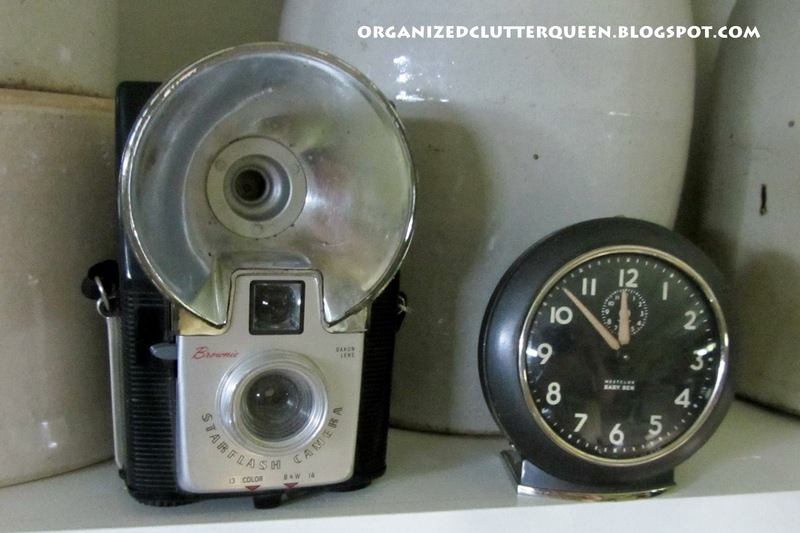 This was the start of both a camera and clock collection! This Godinger hand clip stand was a great find in October for $8. Perfect for cards and photos. 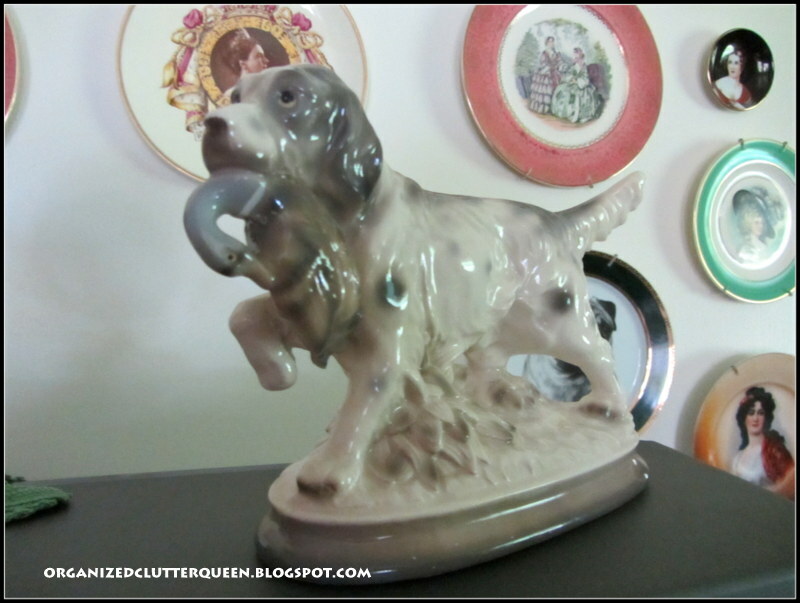 This $3 Enesco vintage dog figurine was purchased in the fall at a consignment shop. This purchase expanded my pug dog collection to include other dog breeds. Loved the Infant of Prague chalkware figurine that I purchased for $4 at the consignment shop. 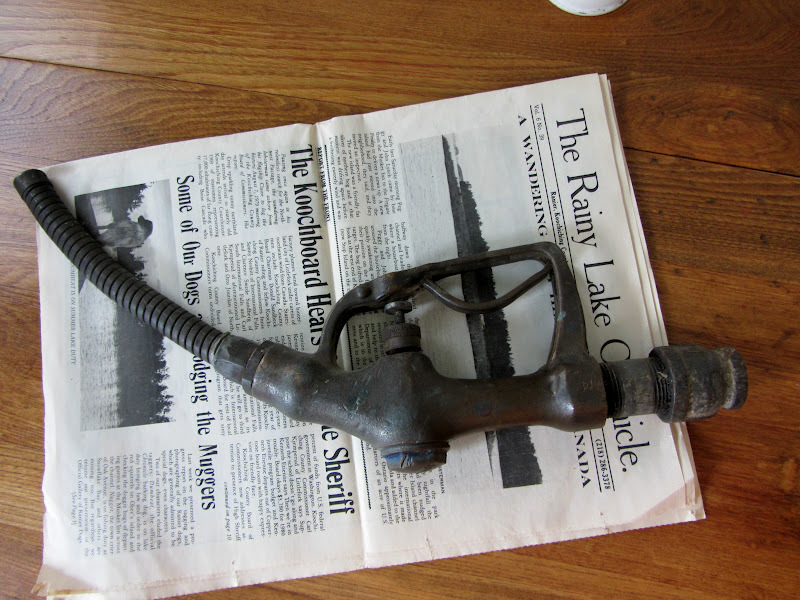 I purchased this Buckeye vintage gas pump in early 2012 for $6 at a consignment shop. The pump was added to my garden junk displays. I hope 2013 will bring with it some great vintage finds as well! Great finds. Can't wait to see what you come up with this year. Love all your great finds! 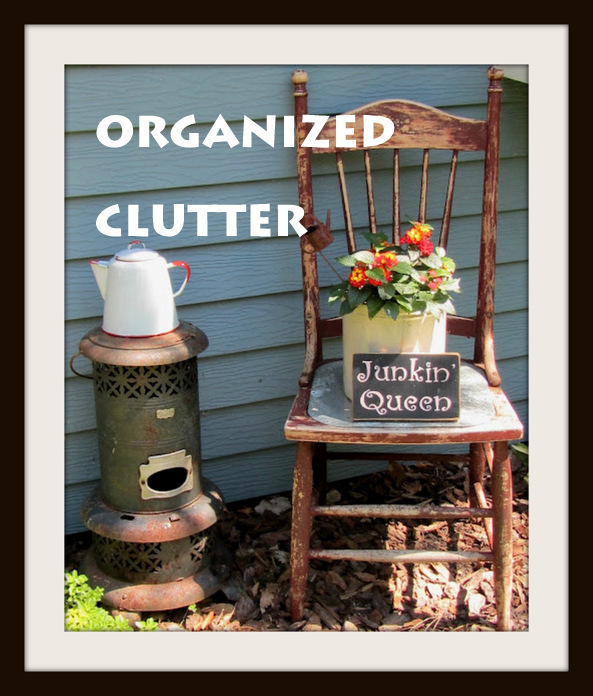 I'm going to share my top finds in a post today also! Great finds! My favorite is the hand clip stand! Happy New Year! You had some terrific finds last year! And those prices were great too! Hope you find lots of goodies this year! Well, I have 5 of your finds - but I need that Godinger hand clip! 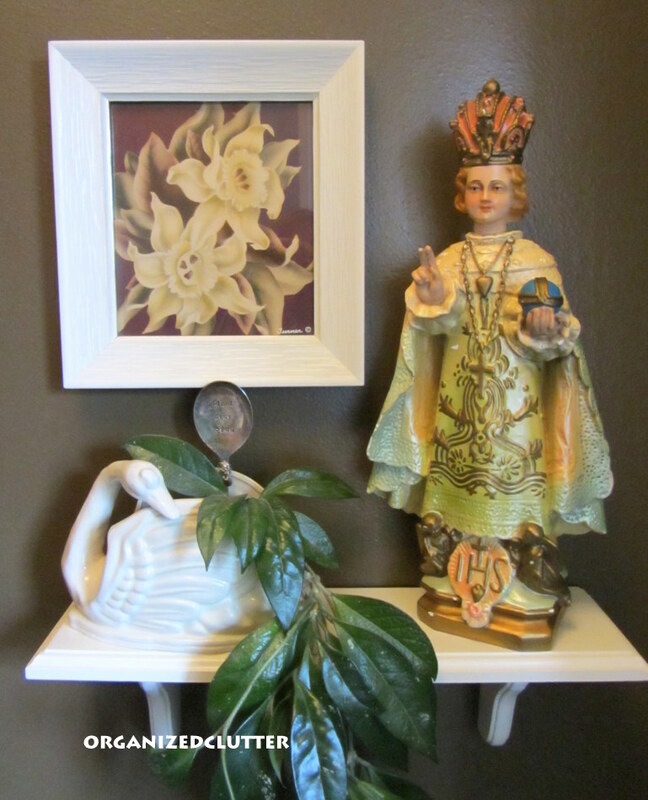 Here's to a fruitful thrifting adventure in 2013! Amazing finds. Love them all, but the hand stand is pretty cool. I've never seen anything like it before. Great finds in 2012 and I can't wait to see what you find this year! Love your finds for 2012, the old scale is just great. You must be looking forward to the hunt for some great stuff for 2013. You found some great things this year Carlene! Have a Happy New Year! 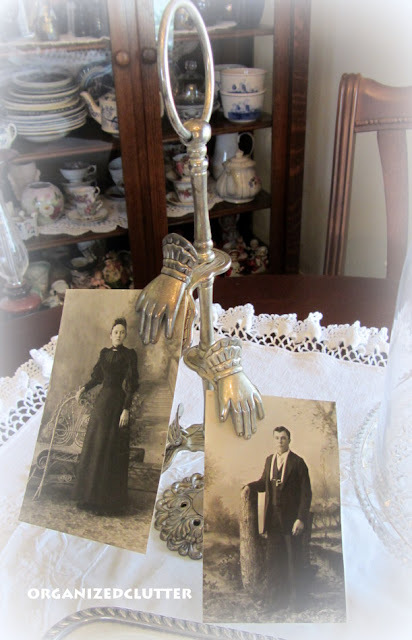 Great finds, I hope 2013 brings more treasures your way.. Happy New Year I wanted to let you know that my Blog address has changed I do hope that you will stop by and rejoin/ continue to follow. Excellent finds. Love the scale and clock. I want to go thrifting so bad. I have not been out of this house in four days. Happy New Year! I need to follow you on your thrift store visits. You find some awfully neat stuff! I've enjoyed going back through your year of good finds. Thanks for sharing. Carlene, what a great scale. I'm looking for a big beautiful scale for my kitchen. Yours made my heart skip a beat!!! I had to giggle at your pump... what a fun garden display it will make! Carlene, you really had a good year for thrifting. Love the tole painted tray. Good luck again thrifting this year. I have no doubt you will soon be regaling us with your latest incredible finds. Can't wait to see what you find out there this year! Wow... you did find some dandy deals! The clock and camera were killer!! I'm strivin' for you kind of deals in 2013!! Happy New Year! You are a lucky girl! Love the scale. Carlene, What treasures you found. I remember them well. You really got some great prices too. Especially those cameras. Woo-hoo for you! I have purchased a few of the same items this year. Love the hands photo holder. Not something you see every day. Thanks for sharing with Share Your Cup. I do love these treasures. Great finds, all of them. And great prices.